The First Climate Model Turns 50, And Predicted Global Warming Almost Perfectly by Ethan Siegel at Starts With a Bang! The first woman in space turned 80, and you probably never heard of her by Ethan Siegel at Starts With A Bang! 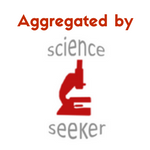 Bloggers: Would you like a ScienceSeeker badge on your website? For the official HTML code email us at sciseekers at gmail dot com and we'll email it to you. Show you're part of the ScienceSeeker community! 7 ways Earth would change if our Moon were destroyed by Ethan Siegel at Starts With A Bang! Call for Editors! Become part of the most comprehensive source of science coverage. Looking for a new challenge or opportunity in 2017? When it comes to reporting science, the mainstream media can struggle, and often falls into sensationalism, undermining its message. ScienceSeeker is therefore an essential resource, enabling readers to access knowledge that helps make sense of the headlines. We aggregate the most comprehensive list of science blogs, written by a community including top scientists. Every week, our volunteer editors scour what’s been reported to distil it down to the most essential content. We’ve got a vibrant team - but we're still short in some areas. ScienceSeeker is a unique science blog aggregator that brings together over 2,150 blog sites (and growing!). It emerged as part of the ScienceOnline movement that has energized the science communication community in recent years. Although ScienceOnline is now defunct, ScienceSeeker continues on a sustainable basis thanks to the sterling effort of its volunteer supporters. For more details about what we do and who we are, see our 'About' page. A ScienceSeeker editor commits to spending some of their valuable time reading science blogs or listening to science podcasts and selecting the newest developments in science every week. The commitment depends on circumstances. An especially busy person might be able to make selections from their general reading. An enthusiastic editor might dedicate three hours a week or more to select the most relevant content. Each editor usually focuses on a limited set of subject areas to restrict the time they have to invest, although there are opportunities to help build ScienceSeeker's platform. The goal of this recruitment exercise is to add to the team of editors so that the effort can be shared more broadly. We are currently interested in expanding the coverage on science discoveries in the areas of astronomy, geosciences, education, environment, and computational sciences. If you are fond of reading and/or listening to science, it’s your chance to contribute to science outreach by highlighting those pieces you think the society needs to be aware of! At a general level, it’s rewarding to make an input into a community. In this case you’re helping create an authoritative voice on science that supplements and corrects conventional media coverage. You’re also boosting the reach of individual blogs that might not otherwise be read by many people. At a personal level, being a ScienceSeeker editor is a relatively low-effort activity that looks good on your résumé. There are also great benefits that arise from the effort invested in reading ScienceSeeker blogs. For scientists and writers, ScienceSeeker blogs often showcase ideas, research and styles of communication that you might not otherwise have encountered that can prove useful in your paid work. And whoever you are, ScienceSeeker blogs are interesting and entertaining – reading them is not a bad way to spend time at all! No. The ScienceSeeker team is continually evolving, and as such we always welcome enquiries from prospective editors. When Was The First Star Born? by Ethan Siegel at Starts With A Bang!